Photo UV SW+LW - Green : Willemite. Red- Orange : Calcite, Orange : Wollastonite and Fluorite : Blue - Rhodonite is pink in NL and is NF. Willemite ia a zinc silicate mineral (Zn2SiO4) and a minor ore of zinc. 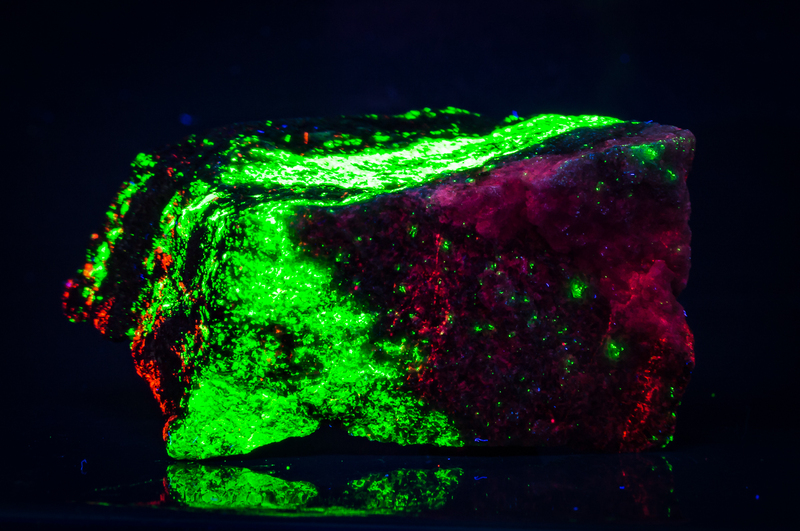 It is highly fluorescent (green) under shortwave ultraviolet light. It occurs in all different colors in daylight, in fibrous masses, solid brown masses ("troostite"), and apple green gemmy masses. 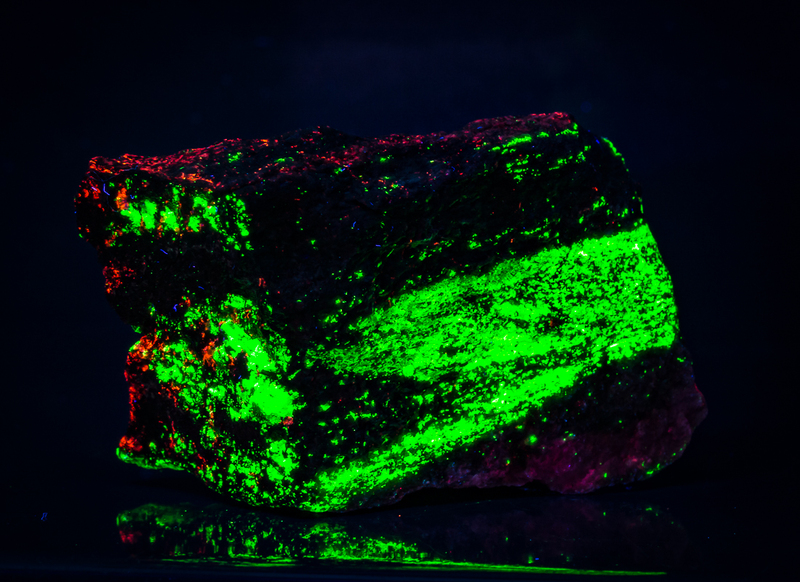 Artificial willemite was used as the basis of first-generation fluorescent tube phosphors. 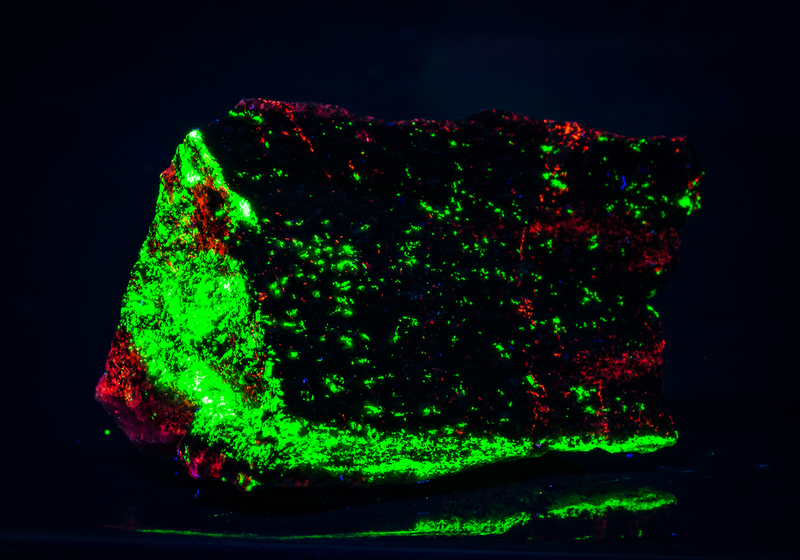 Doped with manganese-II, it fluoresces with a broad white emission band. Some versions had some of the zinc replaced with beryllium. The deposits at Garpenberg were first worked as far back as the 13th century, making Garpenberg Sweden's oldest mine that is still operational. 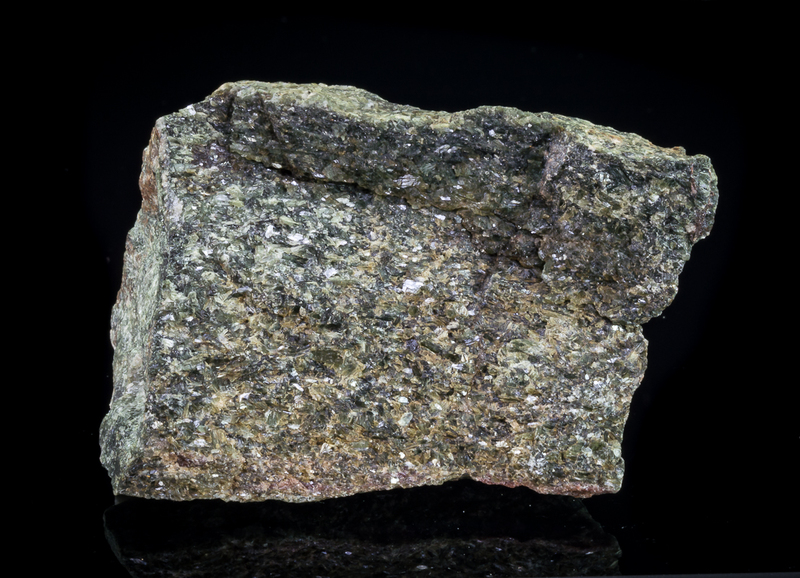 Complex ore that contains zinc, copper, lead, gold and silver is mined at Garpenberg, and it is this metal mix that has contributed to the area's favourable cost position.